Santa Paws is Coming to Camp! Has your pup penned his letter to Santa and started to get into the holiday spirit yet? If not, perhaps a meet-and-greet with Saint Nick is just what the veterinarian ordered! 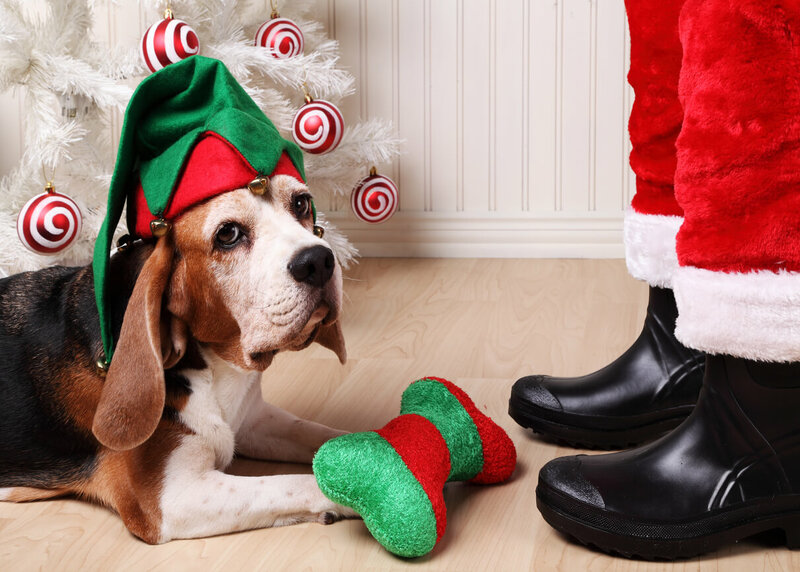 Fortunately for you and Fido, Santa Paws is coming to Camp… a Camp near you that is. Each year, many of our franchisees invite pet owners and their furry friends to spend the day with Santa, and this year is no different. For a small donation fee, your dog can have his or her picture taken with the jolly man himself — pawfect for your annual howliday card! All donations collected will go to local shelters or the Bow Wow Buddies Foundation — our in-house charity that helps give dogs in need a new leash on life. The Bow Wow Buddies Foundation is Camp Bow Wow’s 501(c)(3) nonprofit organization that supports the health and happiness of our furry loved ones. With the help of generous donations from pet parents and franchise owners like you, the foundation affords us the unique opportunity to offer second chances to sick and injured dogs in need, by providing urgent medical care funds. Whether a dog is homeless or his/her parents simply cannot afford the climbing cost of emergency veterinary care, the Bow Wow Buddies Foundation is always there to lend a paw. How can I schedule my howlidayphoto op? We’re glad you asked! Since each Camp coordinates visits from Santa individually, your best bet is to reach out to your local Camp directly for more information. To find out where the closest Camp is to your area, just visit the Camp Bow Wow website, or call us at 877-700-2275. Are you a current franchisee looking to find out more about how your Camp can contribute to the Bow Wow Buddies Foundation this holiday? Or perhaps you’re interested in marking your territory and opening a Camp in your local market. No matter the case, we want to hear from you!